Srinagar: A separatist-sponsored march in memory of a militant leader killed by security forces was foiled on Tuesday but stray violence marked the event in the Kashmir Valley, leaving at least one person injured. 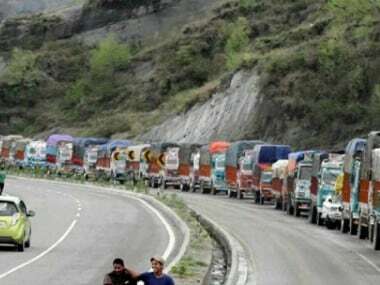 Authorities imposed curfew and restrictions to thwart the march to Tral town in Pulwama district, about 40 kilometres from, to offer funeral prayers (Fateha) for Hizbul commander Sabzar Bhat, killed by security forces on Saturday. All roads leading to the town were sealed with rolls of razor-fitted concertina and by blocking them with mobile bunker vehicles. But despite the clampdown, dozens of people from neighbouring areas managed to reach Rathsuna village where Bhat had been buried. They offered funeral prayers at the Martyrs' graveyard. A police spokesman said here: "Barring three stray incidents of stone pelting by miscreants, two in Pulwama and one in Anantnag district, the law and order situation remained peaceful in the Valley." Protestors pelted stones at security forces in Tral, Pinglana and Keller in south Kashmir. An official claimed that security personnel used maximum restraint while chasing away the young men on the streets. A stone-pelting youth was injured in the clashes. 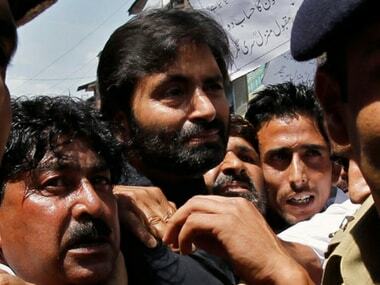 He has been shifted to a Srinagar hospital. 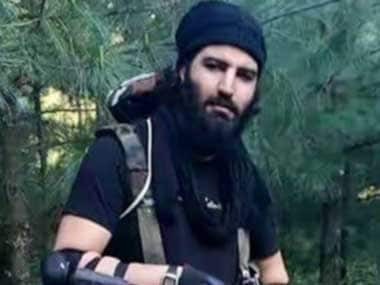 Bhat, alias Abu Zarar, succeeded militant 'poster boy' Burhan Wani, whose killing in July led to unprecedented violent protests leading to the death of nearly 100 people. 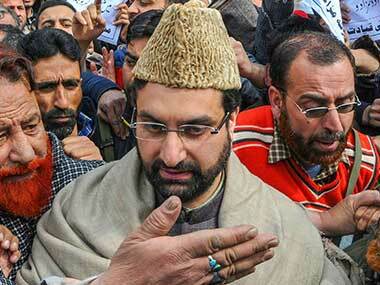 The separatist-called three-day protest after Bhat's killing ended on Tuesday evening. While senior separatist leaders including Syed Ali Geelani and Mirwaiz Umar Farooq remained under house arrest, authorities ensured that mobs remained off the streets. Bhat was killed on Saturday in a gunfight in Saimough village along with his associate Faizan Ahmed. Heavy deployment of police and the Central Reserve Police Force (CRPF) were made in the city to discourage and restrain vehicular movement. 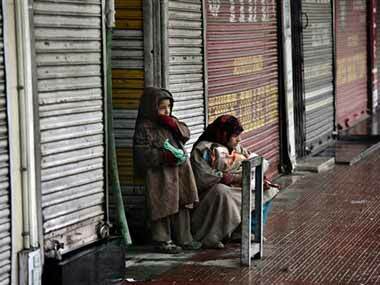 Similar restrictions have been imposed in all other major towns of the Kashmir Valley. All educational institutions in the valley are also shut. Train services remained suspended in the Valley for a third consecutive day on Tuesday. Authorities suspended internet services on mobile phones on Saturday. On Tuesday, the internet facilities on landline broadband connection were also snapped at most places to prevent the spread of rumours.